From the Marche Saint-Germain in Paris to the Time Out Market in Lisbon to Manchester’s Altrincham Market, covered market dining is one of the big eating out trends, not just for street food but for not-so-casual dining also. Diners are bored with many of the chains who expanded rapidly – many are closing branches. At least 16 new food halls are planned for London alone, with big investors seeking opportunities everywhere, from old tube stations to cinemas to former department stores. Italy too has seen the trend with the opening last year of Eataly a massive food park in Bologna housing 45 branded Italian Eateries. Eating out is so much part of socialising nowadays, the whole ballgame has changed, these massive food markets encompassing dozens of kitchens and communal dining spaces offer food, fun and flirting. 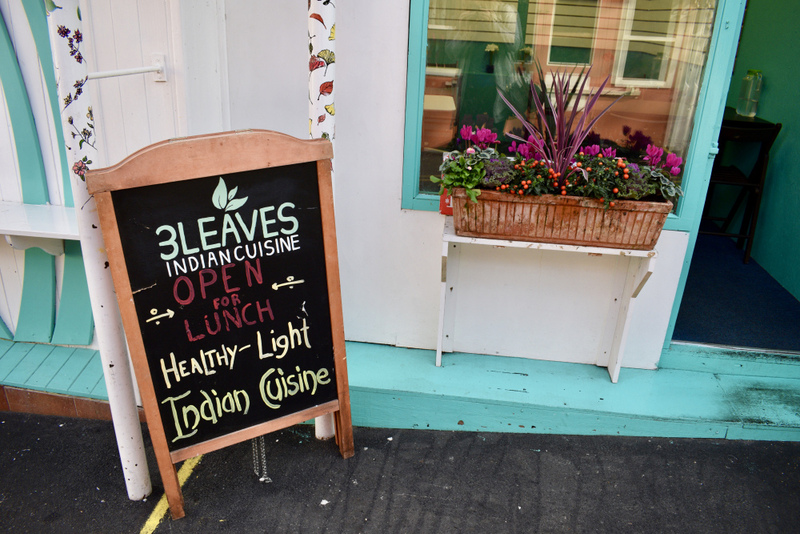 I was recently in 3 Leaves, an Indian restaurant in Blackrock Market. Across the way was the Shaka Poke stand, around which, hordes of young guys and girls were clustered, socialising over their ever so cool Hawiaan style ahi tuna salad bowls. Up the way the Arctic Stone guys were rolling their ice-creams, having progressed to a bigger stand since my last visit. It’s rapidly becoming more of a food destination with a trio of good coffee shops, El Celler tapas bar, a Lebanese food counter, and the Michelin starred Heron & Grey, which had a visit recently from ‘Leo & Matt’. Slip around the corner, Leo – you’d love it! Blackrock Market was also the starting point of James & Soizic Sheridan, who moved their delightful Canteen to Celbridge, and Jumoke Akintola and Peter Hogan who had a fish stand here before opening the Fish Shop on Queen Street, a seafood restaurant, and a casual branch on Benburb Street. Now, it seems, markets are the place to be. I really enjoyed my visiting 3 Leaves a couple of years ago, when it first opened as a simple take-out with just a table or two, and I wrote about it. However, I’m not the only one who was taken with it, in fact, it’s proven so popular that Chef Santosh Thomas and his wife Millie have now taken the unit next door, which gives them a separate compact dining area. Thomas graduated with a degree in Hotel Management in Kerala and worked with the top-notch Taj Group before coming to Ireland ten years ago to work in some of our best restaurants. However, like most people, he wanted to open his own place. Lunch is the big thing here, but they now also open on a Thursday evening. It is brilliant for vegetarians, as are most Indian restaurants. The menu is compact, dishes change every day, prices are really good, and when they’re gone, they’re gone. However, the food is as smartly presented and as good as any five-star establishment. We kicked off with 3 Indian street food dishes, all at €6 a pop. Pani puri were seven little wheat-flour and semolina bell-shaped hollowed-out shells filled with potatoes, chickpeas, mango, pomegranate seeds, topped with sauces and yoghurt, centred around a ‘tangy water’ of 12 spices. You add a couple of teaspoons of this to the shell and pop the whole lot in your mouth in one go. It truly is an explosion of flavours. Palak pakora chaat was a cblend of crispy spinach leaves stacked and dressed with five different sauces – mango, mint, tamarind and yoghurt, and a special signature sauce – along with a savoury topping. Tandoori chicken chaat was also fab, involving grilled thigh meat removed from the bone and again dressed with a variety of sauces.